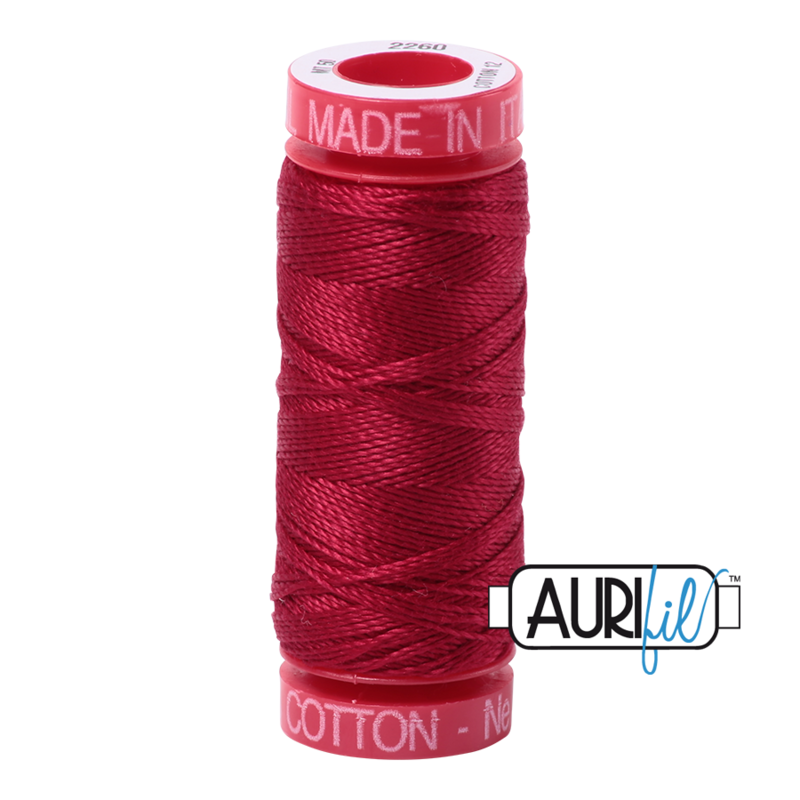 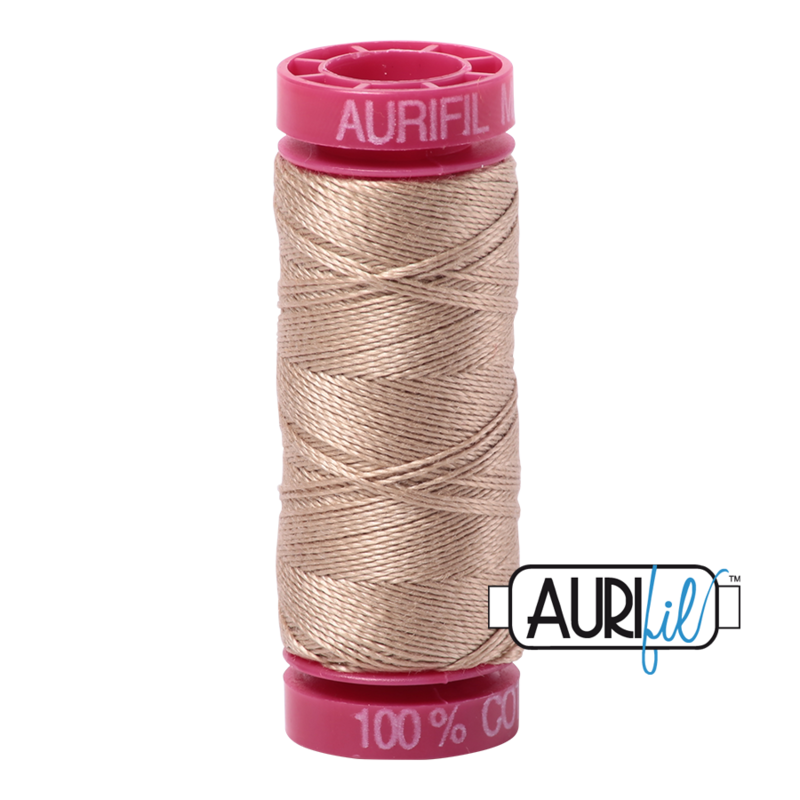 Aurifils 100% Cotton 12wt thread comes in 270 colors and is wound on a red spool. It is the heaviest weight thread. 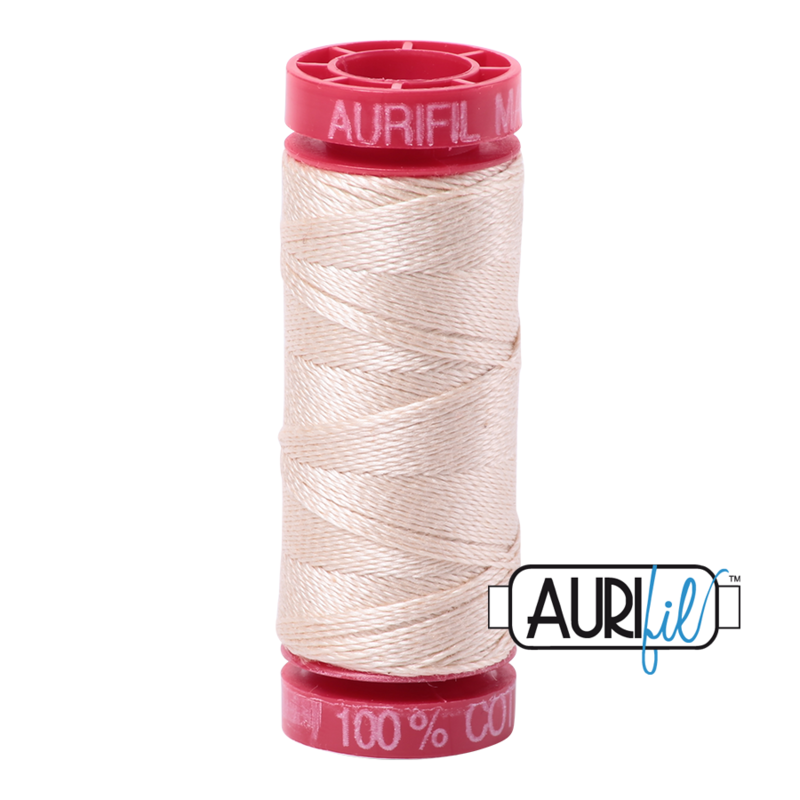 When using 12wt thread by machine, we recommend using a much thinner thread in the bobbin, like Aurifil cotton 40wt.